« Can books help sell your house? 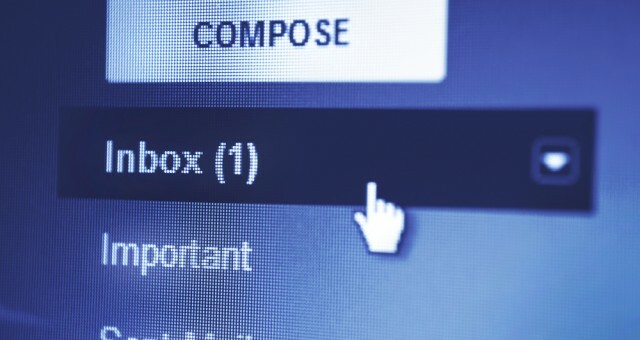 Despite the rapid rise of social media, 88% of IT and finance professionals still rate e-mail as the best way to receive business information, while the popularity of paper in the office appears to be declining. This is according to a survey carried out by business automation software provider, V1, which explored variations on how different generations prefer to receive information. The survey asked respondents to classify themselves by their generation as either baby boomers (born in the 1940s and 50s), Generation X (born in the 60s and 70s) or Generation Y (80s and 90s). Findings revealed some notable similarities in attitudes and trends to digital communications between the age groups. All generations selected e-mail as the preferred choice for receiving information, with each scoring social media channels such as Twitter and Facebook as being of low importance. All three age groups rated Facebook and Twitter as their two least preferred methods of business communication. The older employees rated Twitter as the least important with 56% giving the social media platform the lowest score possible, and 55% scoring likewise for Facebook. Generation Y also ranked Facebook as their least popular channel, with 53% giving it a low score. The youngest employees were also most likely to give paper a low rating, (42%) followed by Generation X (33%) and baby boomers (31%). Catherine Murphy, Head of Marketing at V1, said: “While the e-mail is the clear choice for most finance professionals in terms of how they receive information, preferences are less clear cut when it comes to other forms of communication. The research also revealed a number of other IT trends differentiating the generations. For instance, baby boomers spend an average of 90 minutes online for business purposes, with an additional 57 minutes a day for social use. For Generation X, the figures were 140 minutes for business, and 55 for social; while Generation Y spend 167 minutes a day online for business purposes, and 107 minutes for non-business. The middle-aged group were most likely to have a LinkedIn account (56%), suggesting they may see networking as more important than any other generation. Younger workers were the least likely to use LinkedIn, at 42%, and 47% of the boomers. Generation Y, at 56%, were the biggest users of Facebook, followed by Generation X (39%), and the boomers at 28% were least likely to use it. Overall, Twitter was the least popular of the social media platforms, with Generation X having the highest number of users (28%), Generation Y second (22%), and boomers using it the least (19%). Murphy added: “The research clearly points to younger workers using the Internet most, which suggests that the office of the future will become increasingly reliant on technology as Generation Y workers mature into the decision makers of tomorrow. As technology moves forward, driven by the mobile boom and the likes of 4G, businesses’ growing reliance on IT and digital media is likely to increase rapidly in the years ahead.